Not much for the stretched look but the paint was phenomenal. He put down 154 HP iirc. I did toss Sersi up there too out of curiosity. I took video of McNeil show I'll post up later. 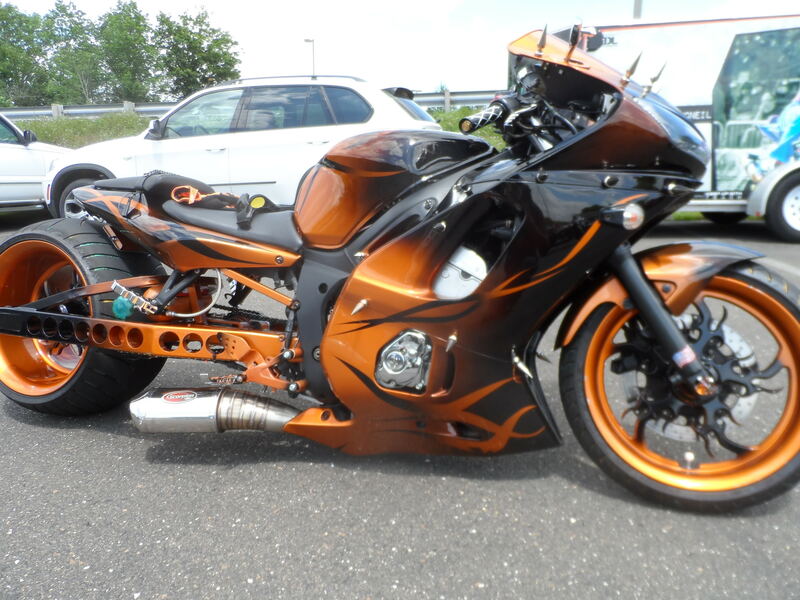 haha, i can't tell whats worse - the hayabusa with the spinners and speakers in the pillion? or the r6 with a 300 or whatever kit on it with air ride? edit: i love the tiny little single rotors on both fronts. so did you ever check back on the liter bike category? 177rwhp is a pretty good number, i'd be proud of that. Last edited by Conrice; 07-15-2013 at 08:22 PM. Didn't care about the dyno comp. I almost didn't put her up there when I found out it was a competition. 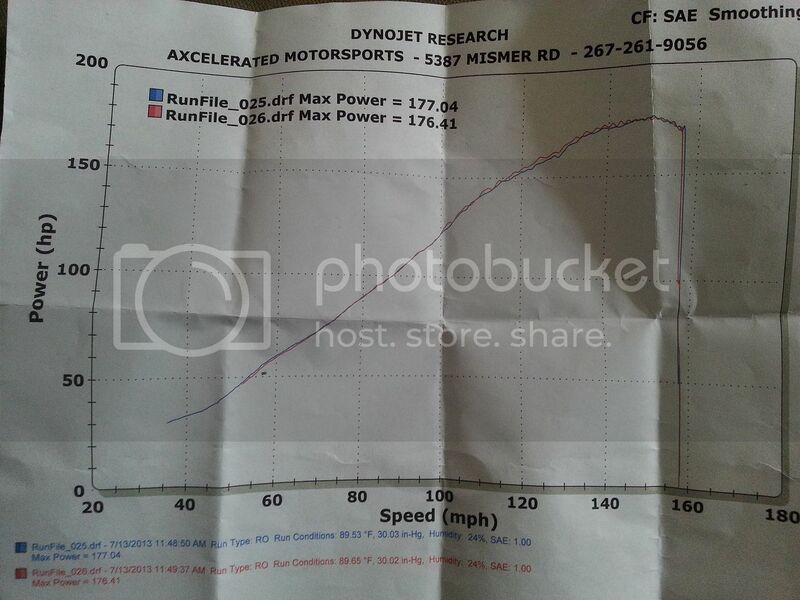 It was billed as free dyno runs and I just wanted to see a dyno chart of my bike. The other HP4 owner talked me into it, figuring if we ran back to back we'd get a true read on the bikes. damn, that is a very nice curve! Those bikes are not quite manly enough for me. I'd have to extend the swing arm at least 10 feet more. Gear up and show up!! !